Some of you may have already seen this but, for those who have not; I did also create a video of the Exmoor walk I have just previously written about. I tried to do something a little different here, by including short snippets of narration. Also, I felt as though it might be convenient to use several shorter audio tracks, where I would previously struggle to find one track of the perfect length for the entire video… I have a lot of respect for video editors who work the other way in editing their footage to suit the music they’ve selected! All constructive feedback on these elements and the video overall are always going to be appreciated so that I can learn and apply changes and different ideas to future videos. I hope you do enjoy this one and subscribe if you haven’t already done so. I’ve taken an unplanned break from video editing recently and that’s partly to do with the frustration of doing everything on a £300 laptop that is now six-years old… I think I’d be better off with a desktop PC in the long run (my laptop is always desk-bound, anyway). 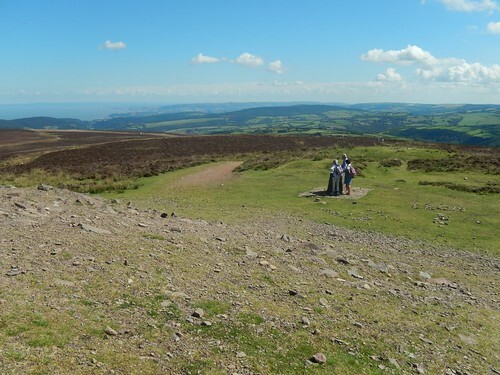 From Dunkery Beacon, you gain some of the best panoramic views in all of the Westcountry. It’s quite natural, considering it is Somerset’s highest point. I’m not familiar with Dartmoor but a nearby topograph suggests that you can see all the way south to Yes Tor. Better still, you cannot see the eyesore of Hinkley Point or its hugely controversial ‘C’ addendum. I’m finally able to sit down and write up my final walk from the month of August. 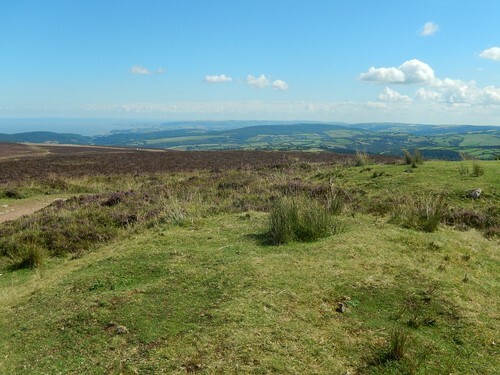 It was also my first walk on Exmoor (excluding the coast path) for more than a year.